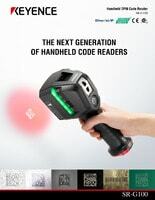 This collection of barcode reader applications will help guide you to obtaining greater efficiency and labor savings at your facility. 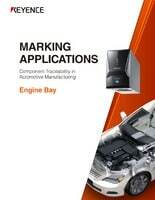 How are lasers used for marking automotive engine parts? Download this guide to learn about the advantages of laser marking to improve traceability on a variety of engine parts. 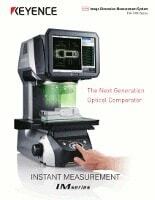 All operators can achieve instant, repeatable measurement results in seconds with the IM Series built in automatic edge detection software. 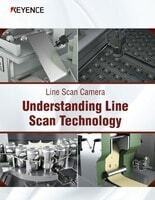 This guide uses industry examples to explain the benefits of line scan camera solutions and how a complete, stand-alone vision system makes line scan technology as accessible as standard 2D cameras. 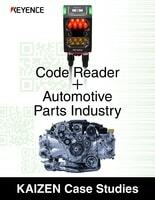 the SR-G100, a code reader that can read challenging codes and improve your work efficiency. 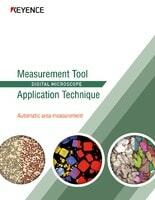 See how the VHX digital microscope can automatically conduct particle counting and area/dimensional measurements. 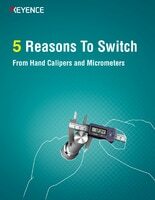 This guide also includes useful filtering techniques to help users take more accurate measurements. The GT2 Contact Probe Series contains a vast lineup of sensor styles and probe tips which makes finding the optimal setup easy. Our Air-push models don't require mounting jigs, the simplicity might just blow you away!